Onsite warranty for Evolis printers. Please note that on site warranty prices listed are only applicable on in warranty printers, should you wish to take out a policy on a printer that is out of warranty or will be during the premium term, please ask us for a written quotation. 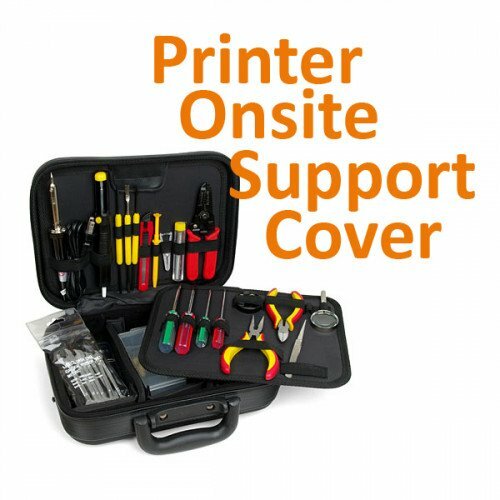 Cover is based upon an engineer being on site the next working day (subject to a call out by 3pm), 90% of cases the printer will be repaired that visit but otherwise the engineer will return the following day with the part to complete the repair.